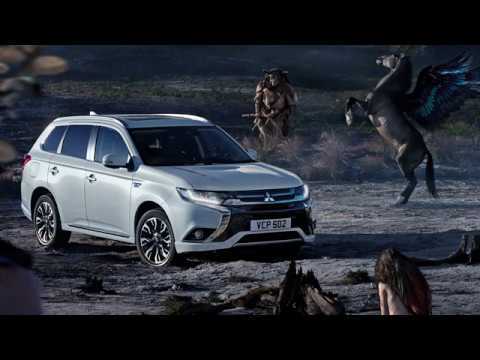 The 2019 Mitsubishi Outlander PHEV, which goes on sale in the UK on August 1, has made the switch from the old NEDC fuel economy and emissions ratings to the new, more realistic real-world WLTP ratings and reassures business users that they can continue to enjoy the BIK benefits and low running costs associated with plug-in hybrids well into the future. While many current plug-in hybrid models will no longer be classified as ultra-low emission vehicles, or qualify for the Plug-in Car Grant, the 2019 Mitsubishi Outlander PHEV comfortably qualifies for a Category 2 Plug-in Car Grant thanks to its WLTP emissions of 46g/km and EV range of 28 miles. The 2019 Outlander PHEV offers users all the benefits of driving an ultra-clean vehicle including the lowest possible BIK rate of 13 percent (2018-2019), London congestion charge exemption and WLTP fuel economy of 141mpg. However this increased efficiency has not been at the expense of driver enjoyment – far from it, in fact: Thanks to its new, 2.4-litre petrol engine, which uses its MIVEC variable-valve timing system to seamlessly switch between Otto and Atkinson combustion cycles depending on the driving situation, the engine produces more power (135hp vs 121hp) and more torque across a wider rev range (211Nm vs 190Nm). The Mitsubishi Outlander PHEV’s electric powertrain has also increased, with the rear electric motor now producing 95hp and drive battery with a 10% higher output and increased capacity to 13.8kWh. Top speed in EV mode increases to 84mph (up from 78mph) where legally permitted while the 0-62mph acceleration benchmark is dispatched in 10.5 seconds, some 0.5 seconds faster than before. To complement the drivetrain enhancements, a number of other changes ensure the Mitsubishi Outlander PHEV is even more pleasurable to drive: Shock absorbers have been revised to improve its low-speed ride and a new “Sport Mode” brings with it sharper throttle responsiveness and more grip via the Super All-Wheel Control system. The steering rack has been quickened and the power steering ECU re-mapped to offer more responsiveness and feel, while larger front brake discs boosts stopping power. There’s also a new “Snow Mode” to improve low-grip launching and cornering abilities on slippery surfaces, while the traction control system has been revised to improve hill-climbing performance by carefully managing rear motor torque without compromising stability. The new Mitsubishi Outlander PHEV is also quieter and more refined, with more comfort and supportive front seats, new switchgear, a revised instrument cluster, the addition of rear ventilation vents, more convenient USB ports and new interior accent trim. A new front end with a redesigned grille, new bumper extension and new lighting help distinguish the 2019 Mitsubishi Outlander PHEV, while the rear is enhanced with a redesigned rear bumper extension and a large roof spoiler. New 18-inch multi-spoke alloys complete the exterior revisions. The new Mitsubishi Outlander PHEV goes on sale in the UK in August with pricing and UK specifications announced shortly.